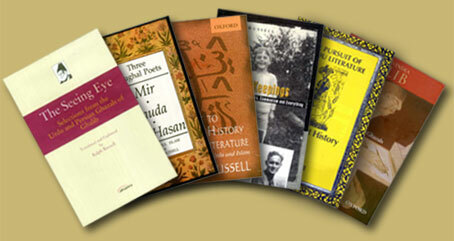 Ralph Russell (1918 – 2008) was the leading western scholar of Urdu of his generation. 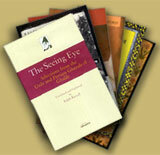 This website introduces you to his writings on Urdu and Islam in South Asia, and to his autobiography. Ralph’s enthusiasm for sharing his love of Urdu was proverbial. He was teaching and writing up to a few weeks before his death, and he wrote always in a way that he hoped would make Urdu and its literature accessible to as wide a range of people as possible. He saw this website as a tool for reaching people he would never meet. Ralph also had a strong conviction that people should write about their own lives, and share as honestly as they could their responses to what they had experienced. He practised this himself throughout his life and encouraged many others to do the same, generously giving time to editing or translating what they had written, and finding ways to get it published. In the last decade of his life he gave priority to writing his own autobiography. He did not complete the final volume but left drafts with guidance for editing, so that it could be completed after his death.